Clear Lens Exchange, also known as Refractive Lens Exchange (RLE), is an outpatient procedure designed to reduce or eliminate your dependence on glasses. 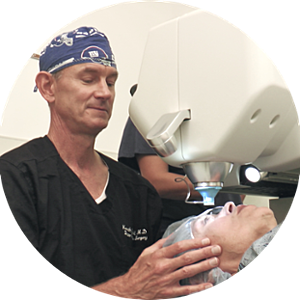 RLE is an alternative to laser vision correction and other refractive surgery procedures. It can correct nearsightedness, farsightedness, astigmatism and even presbyopia using new technology intraocular lens implants (IOLs). 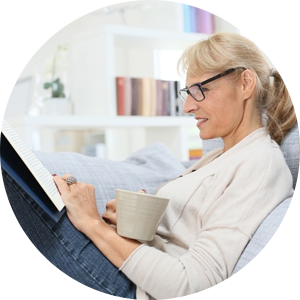 RLE replaces your eye's clear natural lens with an artificial lens (IOL) to correct your vision, resulting in sharper focus, thus reducing or eliminating your need for reading glasses or bifocals. When should I consider this for my vision problems? Refractive lens exchange is recommended for people with presbyopia (a progressive condition where individuals become reliant on reading glasses as they age) or extreme farsightedness (hyperopia), and for whom LASIK, PRK or phakic IOL surgery are not a suitable option. In some cases, when a patient has both presbyopia and hyperopia, a lens exchange may be the only viable option for clear vision with minimal reliance on glasses after surgery. Lens replacement surgery also can correct myopia (nearsightedness), but generally it is not recommended when LASIK, PRK or phakic IOLs are available. Performed on an outpatient basis, each eye is done separately, approximately a week apart. The procedure will take approximately 15 minutes each time. Anesthetic drops are used during RLE, so typically there is no discomfort, and most people report significant vision improvement immediately following surgery. Initial recovery takes about a week, after which time patients generally resume normal daily activities. However, full recovery can take several weeks. During this time, you may experience some vision disturbances, including blurry vision, halos, glare, or a scratchy sensation, as your eyes heal. Normally, you won't feel an IOL in your eye, in the same way that you don't feel a dental filling for a cavity. And since the lens implant is inside your eye and not on the surface like a contact lens, it's not visible to others. What’s the difference between LASIK, KAMRA, Cataract and Clear Lens Exchange? 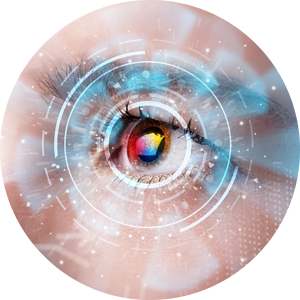 Many vision correction procedures, such as LASIK, change the focusing power of the eye by using a laser to reshape the curvature of the cornea. RLE is different. It corrects your vision by replacing the eye’s natural lens with an intraocular lens. The power of each lens is adjusted to your specific eye length and corneal curvature. The RLE procedure is effectively identical to cataract surgery. The difference is that in RLE, the lens being replaced is typically your body’s natural, clear lens. During a cataract procedure, the cloudy, cataract lens is the one being replaced. Are there different types of IOLs? Monofocal fixed-focus IOLs. Monofocal lenses provide clear vision at one of the following: near vision, distance vision, or at an intermediate range. IOLs designed to correct astigmatism, called Toric, are also are classified as monofocal. 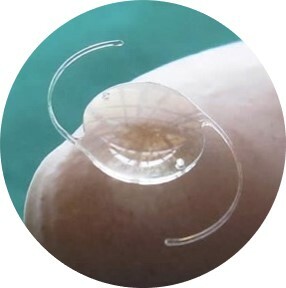 Multifocal IOLs. A multifocal lens provides clear vision at multiple distance ranges. Accommodating IOLs. 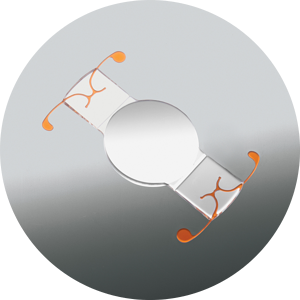 An accommodating IOL is a type of monofocal lens that improves focus at multiple distances by shifting its position in the eye. For more information on our IOL options, visit our IOL page here.